Lucky – Orocrea Jewerly s.n.c. A ring that brings fortune and synchronicity in your daily life. 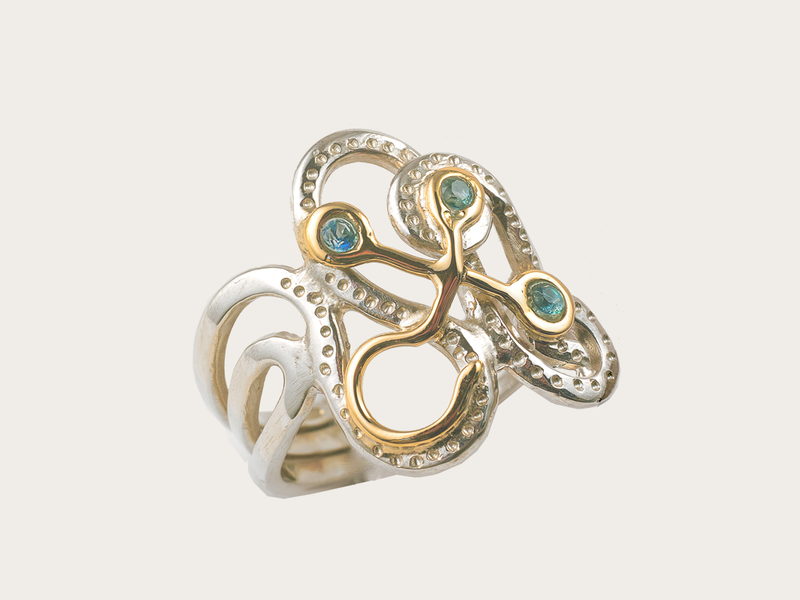 This is a ring that well represents the Atlantis collection. It is compact and solid, made by combining the two noble metals, white gold and yellow gold 18 kt. It is available also in the version in silver 925. The combination of the metals has the function to recall the co-presence of the aspects of masculine and feminine in us, when we express ourselves as a divine principle. The symbol in the sacred language evokes fortune and synchronicity. The three emeralds set in the sign represent the union of the three aspects of the Divine.